OAKDALE, Pa., Oct 16, 2018 (SEND2PRESS NEWSWIRE) -- American High Performance Seals, Inc. (AHPSeals) has recently earned the ISO 9001:2015 company certification for quality management. Organizations that earn this certification, pass a detailed physical ISO 9001:2015 certification audit performed by a registrar. Customer Focus - The ISO 9001:2015 certification emphasizes a commitment to customer focus. The simple act of certification creates a comfort level for customers that the seal they get tomorrow will be as good as or better than the one they got five years ago. Leadership and Engagement - This guarantees that everyone in the organization, from the top down, is unified and dedicated to delivering high quality sealing solutions. A strong sense of leadership and engagement assures the customer that the quality standards will be followed and enforced every day. Process Driven Approach - Because AHPSeals carefully documents and communicates its quality standards throughout the company, the customer may rest assured that the process used to create a seal today is repeatable and can be recreated in the future. Continuous Improvement - In today's marketplace, the ability to react to internal and external change is critical. Process and product improvement centered on evidence-based decision making is crucial to maintain the high quality standards established by the ISO 9001:2015 certification process. According to Derek Duncan, Technical Director of American High Performance Seals, Inc., "The certification of our company is the end result of creating a culture where excellence is expected." For over 25 years, American High Performance Seals has specialized in rotary seals and precision hydraulic and fluid seals made of high-performance elastomers and engineering plastic materials up to 250-inches (6.3m) in diameter. They offer standard seals and application-specific sealing solutions to meet industry's most challenging fluids, pressures, surface speeds and temperatures. Their easy ordering process and fast reaction time mean that they can get the seals to you right when you need them, whether it's in a few weeks, a few days, or, in some cases, even a few hours. Their commitment to quality, service, and on-time delivery is unmatched. They make it their business to understand their customers' applications and requirements, and design and manufacture the best seal for each customer's specific needs. 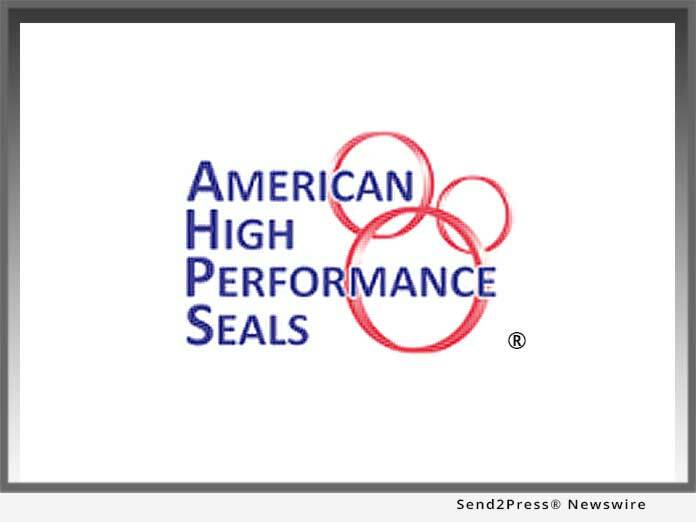 News Source: American High Performance Seals Inc.